Luke Slijpen (Hout Bay) continued his charge for honours at the VISSLA ISA World Junior Surfing Championship in California on Thursday, advancing to the last eight in the U18 boys Main Event stream while six of his team mates were eliminated from the event on the sixth day of competition. Slijpen is now just two heats away from the grand final and an individual gold, silver, bronze or copper medal in his division, and will get a second chance in the Repecharge rounds if he finishes outside the top two in either of those Main Event heats. 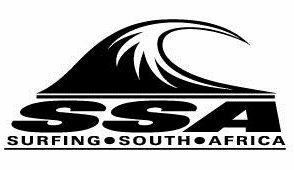 Zoe Steyn was narrowly outpointed in her bid for a top two spot in her U18 girls Main Event Round 4 encounter, finishing third behind former ISA gold medalist Summer Macedo (HAW) and Rachel Presti (Germany). The 14-year-old from East London will resume her campaign in Repecharge Round 6 and will need to complete five more successful heats to qualify for a medal in this division. Both Tayla de Coning (East London) and Gabi Lailvaux (Westbrook) struggled to find waves with scoring potential in the tricky conditions and finished fourth in their respective heats in the U18 Girls Repecharge Round 3. That result earned the pair equal 43rd place in the division, contributing 270 points each to South Africa’s team total. In the U16 girls, Steyn, who is competing in both the U16 and U18 girls divisions, and her compatriots Kayla Nogueira (uMhlanga) and Ceara Knight (Scarborough) were all eliminated in Repercharge Round 4. Steyn and Nogueira ended equal 25th with 360 points each while Knight placed 31st with 330 points for the team. Luke Thompson (Durban) was on fire in the U16 boys Repecharge rounds, posting consecutive heat wins and moving into Round 5, where he will be joined by team mate Mitch du Preez (East London). Tide-lee Ireland (Durban) racked up a respectable 12.90 (out of 20) total to win his U16 boys Repecharge Round 3 heat, but was outpointed by a pair of Japanese rivals in Round 4. Ireland ended his participation in the world’s biggest junior surfing event in equal 41st place in the division, delivering 280 points for the team. After six days of competition, South Africa still has four surfers in contention and has slipped to No. 12 out of 44 nations on the provisional team rankings. Japan and host country USA have all 12 team members in the event and are tied in pole position in the provisional standings. Hawaii and Australia each had three surfers eliminated and France is sitting just outside a team medal position in fifth place, having lost a surfer in all four divisions. Brazil and Spain have six surfers remaining and those just ahead of South Africa, with five surfers in contention, include Portugal, Germany, Peru and New Zealand. Friday’s schedule comprises Repecharge rounds and the semi-finals of the unique ISA Aloha Cup, a form of relay surfing contested by five-person squads from the top eight ranked nations in the 2017 World Junior Championship. The South African junior team placed 11th overall in Japan last year so Slijpen will spend today cheering on his teammates including Zoe Steyn in the U18 girls on the main Podium (where the action is webcast live) and Mitch du Preez and Luke Thompson in the U16 boys on the second Podium. The waves are forecast to decrease further in size throughout the day, which will make finding waves with scoring potential particularly challenging during the high tide, with the customary light offshore winds in the morning, trending onshore during the afternoon.